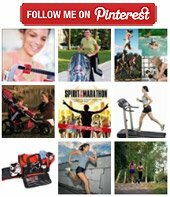 The Baby Trend Expedition Jogging Stroller Reviewed, Heather is an enthusiastic runner, fitness expert and mother of two. 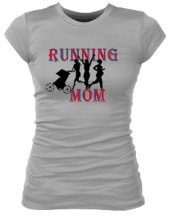 She uses her baby trend expedition jogging stroller when she only has one of her babies out with her on a run and has run with it while training for races from 5k's to marathons. Heather is a significantly faster runner than me, so if the stroller can endure her speeds, it will certainly work for some of us slower moms. 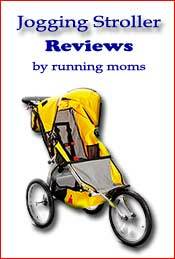 The Baby Trend Jogging Stroller is an awesome jogger for the price. It was easy to assemble, and easy to fold/unfold. Highlights include the sunshade, which is fully retractable/extendable so it will shade your baby from the sun at any angle. There is PLENTY of storage space with the large compartment at the bottom, zippered pockets on the sunshade, and a tray with two cup holders as well as a space for a cellphone , money etc. The seat reclines easily, which I had to do many times without waking up a sleeping baby! The only negative thing I have to say about this stroller is that it tended to drift to the left while running, even after numerous adjustments to the front wheel. It wasn't incredibly noticeable, and was corrected just by having a very firm grip while running to keep it from drifting, but did end up in a sore wrist on many occasions from trying to over correct the drift. This may have just been a malfunction with my particular stroller, and not the model in general. Overall I would most definitely recommend this stroller to those who are not ready to invest in one of the more expensive models such as a BOB. My son was in it from age 4 months, until 2 years old, when we needed to expand to a double stroller. We put hundreds of miles on our Baby Trend Single Expedition Jogger (as much as 8 miles at a time) on roads and running on the beach, and have not been disappointed with our purchase.